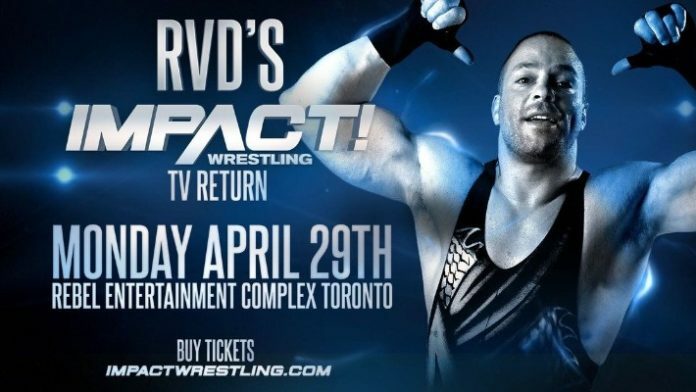 RVD on Signing With Impact: "People Are Excited"
RVD is back in Impact Wrestling and his fans couldn't be happier. Rob Van Dam is back in Impact Wrestling. He’ll main event tonight’s “United We Stand” PPV along with his longtime partner Sabu against the Lucha Bros. He was the guest on today’s Impact Wrestling Press Pass. RVD spoke about facing the Lucha Bros, his contract with Impact, and changing attitudes towards cannabis. His documentary “Headstrong” is also currently available at FITE, on Itunes, and other outlets. He then expressed he was surprised it took the wrestling industry so long to start taking his moves. I asked Rob Van Dam his feelings on the changing attitudes towards cannabis in the pro-wrestling industry. “I think that’s a reflection of the attitude towards cannabis changing all across the world,” he said. He would continue to say that he doesn’t feel the need to advocate on behalf of cannabis as much anymore, as there is already so much momentum heading in that direction.